SALEM, Mass.--(BUSINESS WIRE)--Commonwealth Diagnostics International, Inc. (CDI), the global leader in hydrogen and methane breath testing for gastrointestinal disorders, announced today that it will be a title sponsor of American professional golfer, Rob Oppenheim. CDI and Oppenheim have teamed up to drive awareness around irritable bowel syndrome (IBS) and small intestinal bacterial overgrowth (SIBO), two of the leading causes of digestive distress affecting tens of millions of people in the United States and around the world. Oppenheim joined the PGA Tour in 2016 after an impressive five-year stint on the Web.com Tour. A Massachusetts native, Oppenheim also helped lead Rollins College to a National Championship in 2002. His charitable and philanthropic work involves the Boys & Girls Club of America and the Dana Farber Cancer Institute Jimmy Fund. CDI is an international diagnostic service provider and certified independent clinical laboratory based in Salem, Massachusetts. Committed to being the “go-to” player in functional GI diagnostics, CDI’s hydrogen and methane breath tests offer patients and providers a clinically valuable, non-invasive and cost-effective tool for diagnosing and managing some of the most common gastrointestinal ailments such as small intestinal bacterial overgrowth (SIBO) and carbohydrate malabsorption. CDI also offers the first clinically validated biomarker blood test for irritable bowel syndrome (IBS-D), IBSchek™. IBSchek was validated in a double-blind clinical trial with over 2,500 patients. For more information about CDI, please visit our website at www.CommDX.com. CDI is proud to welcome Rob as an ambassador of their brand, and wish him the best of luck this year! The symptoms of IBS are similar to those experienced by patients with SIBO.3 SIBO occurs when an increased number and/or type of bacteria proliferate in the upper gastrointestinal tract, resulting in patient symptoms such as bloating, pain, abdominal discomfort, watery diarrhea, dyspepsia, and weight loss. CDI offers simple, at-home proprietary hydrogen and methane breath tests to assist patients and providers in diagnosing SIBO. 1 Irritable bowel syndrome: symptoms. Mayo Clinic website. http://www.mayoclinic.org/diseases-conditions/irritable-bowel-syndrome/basics/symptoms/con-20024578. Accessed May 5, 2017. 2 Facts about IBS. International Foundation for Functional Gastrointestinal Disorders website. http://www.aboutibs.org/facts-about-ibs.html. Accessed May 5, 2017. 3 Gut bacteria and IBS. International Foundation for Functional Gastrointestinal Disorders website. https://www.iffgd.org/. Accessed May 5, 2017. 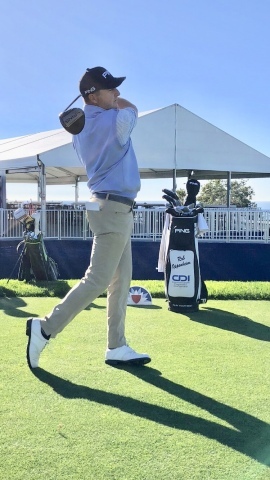 Commonwealth Diagnostics International, Inc. teams up with PGA golfer Rob Oppenheim to drive awareness around gastrointestinal disorders.